The weather today (Friday 20th March) in Glasgow was not looking good for this rare solar event as the sky was covered in cloud. I reluctantly set-up my camera and tripod just in case the Sun broke through, but I was not convinced it would. To my surprise not long after I set-up I saw the crescent Sun peek through the cloud cover and glimpsed my first Solar event. I used a b&w 10 stop ND filter in front of my 400mm f5.6 L lens and used live view on my 5dMKIII DSLR to set the exposure etc. 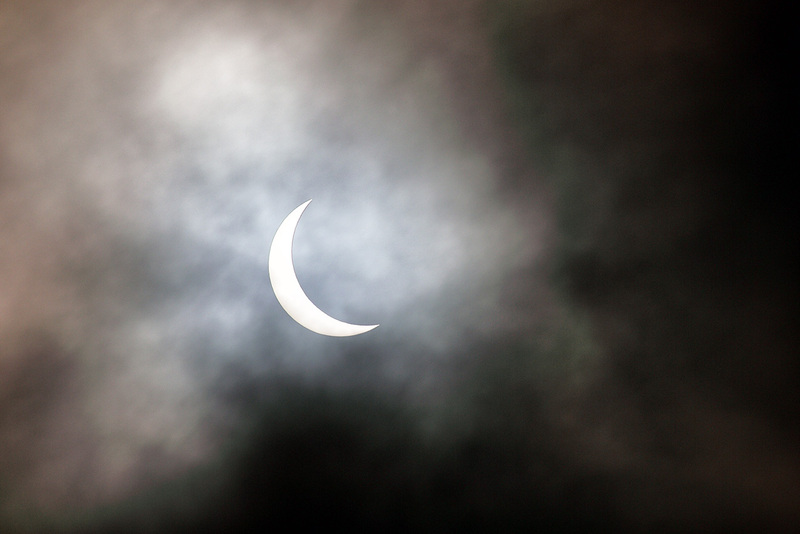 I got my first image around 9.17am and managed to get a few more images during the different phases of the eclipse until about 9.45 when it started to rain a little. The shot below is my favourite of the few images I got as I like the drama taken place in the sky as the crescent Sun breaks through the cloud cover. 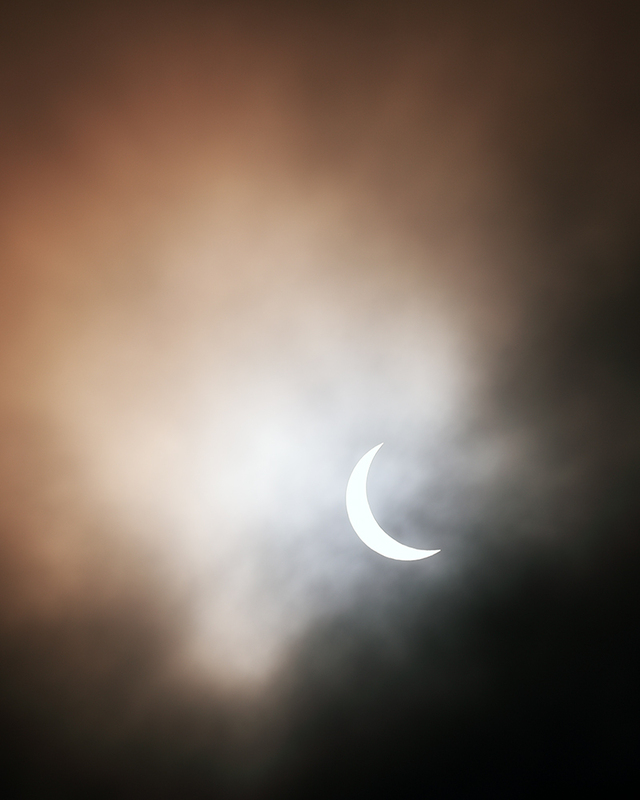 20th March 2015 Solar eclipse as seen from Glasgow during a break in the cloud cover.